IS function can be used when you want check a specific value and get either TRUE or FALSE based on the outcome. It returns TRUE if the condition is met and FALSE if it is not met. value – the value that you want to test. It could be a blank (empty cell), error, logical value, text, number, or reference value, or a name referring to any of these. 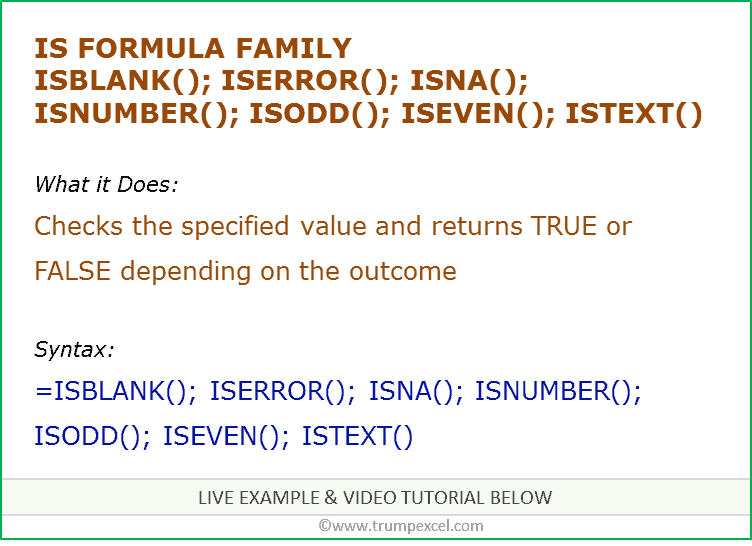 Based on the IS formula you use, it would return either TRUE or FALSE. 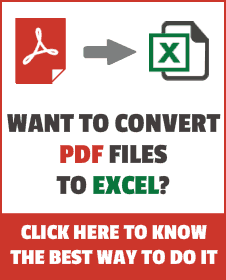 While Excel automatically converts a numerical value in double quotes to a number in formulas, this is not applicable in IS formulas. For example, ISNUMBER(“10″) would return a FALSE, as 10 in double quotes is treated as text.